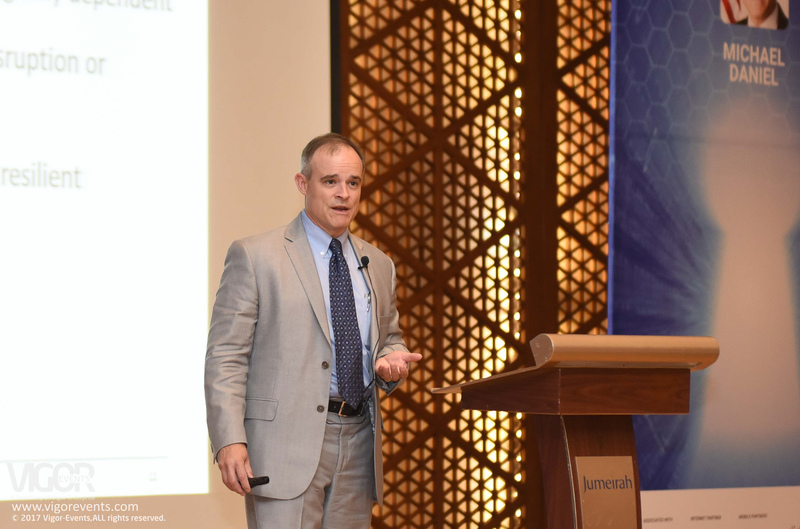 Vigor Events introduced to Kuwait a highly engaging seminar that focused on Cybersecurity by cybersecurity expert Michael Daniel who alerts organizations to the imminent dangers in cyberspace and provides practical solutions, which was held on the 29th of October 2017 in Messilah 2 Ballroom, Jumeirah Beach Hotel Kuwait. In this illuminating seminar, Michael Daniel drew from his post at the highest echelon of government and experience in working with the world’s largest cybersecurity firms to identify the key cyber security threats for organizations and to describe the necessary steps for managing your organization’s cyber risk. Michael started out by addressing the global security landscape in detail. Using this information, he guided participants through what they, their organizations or governments, need to do to equip themselves for a cyber attack, with a 360 degree view of the global security landscape. Michael Daniel was the Cyber security Expert to Former President Barak Obama & President of the Cyber Threat Alliance. He is widely recognized as one of the world’s top cyber security experts in managing cyber risk to critical infrastructure systems, such as financial services assets, electronic medical records and industrial control systems, has over 20 years of experience working with the federal government to improve USA’s cyber security and developed proven strategies for identifying and improving threats, and responding to cyber incidents, safeguarding assets in an era of unjustified digital disruption and connectivity. The Cybersecurity Seminar was tailor-made for senior executives, chief information officers, chief information security officers, and leaders from any company or organization who wanted to learn how to confront their cyber security challenges more effectively and cybersecurity professionals who wanted to gain new insights in how to talk with customers about cybersecurity more persuasively. The event is organized by Vigor Events, Co-organized by ALGAS Events, lead partner was QualityNet and supported by Citra, in association with International Advertising Association – Kuwait Chapter.